What Is a Natural Cleaner for Grout? Cleaning glass with a natural glass cleaner recipe will result in clear glass without a haze or soapy residue. A non-toxic, no chemicals, environmentally friendly and child-and-pet safe cleaner ideal for both home and work. Making a glass cleaner from natural ingredients is easy to do, and many of the ingredients are commonly used in any household. 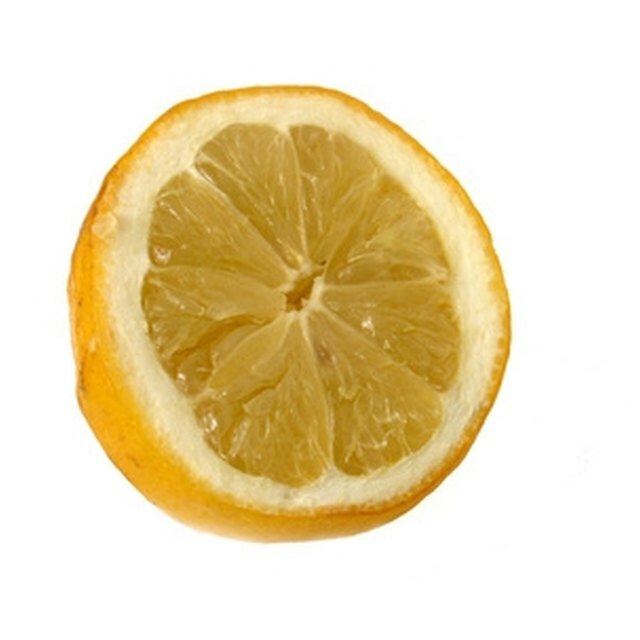 Lemons, grapefruit and oranges all have natural cleaning properties. While the juice is known to cut through grease and grime, the rind also contains strong cleaning agents Squeeze the juice of one lemon and add it to a spray bottle. Fill the bottle with water, then add two drops of natural liquid dish soap or 1/2 teaspoon of baking soda. The soap or the baking soda both act as a water softener to make the solution gentle on the glass. Shake the bottle very well after adding all the ingredients Adding 2 teaspoons of fresh-squeezed grapefruit or orange juice to a spray bottle filled with water also works as a glass cleaner. Make sure to add 2 drops of natural liquid dish soap or baking soda to soften the water Another method of using citrus in a natural cleaning recipe is to add the rind of one lemon, grapefruit or orange to a bottle of water. Cap the bottle and let it sit for a few days. The rind will start to break down, releasing its cleaning properties into the water. 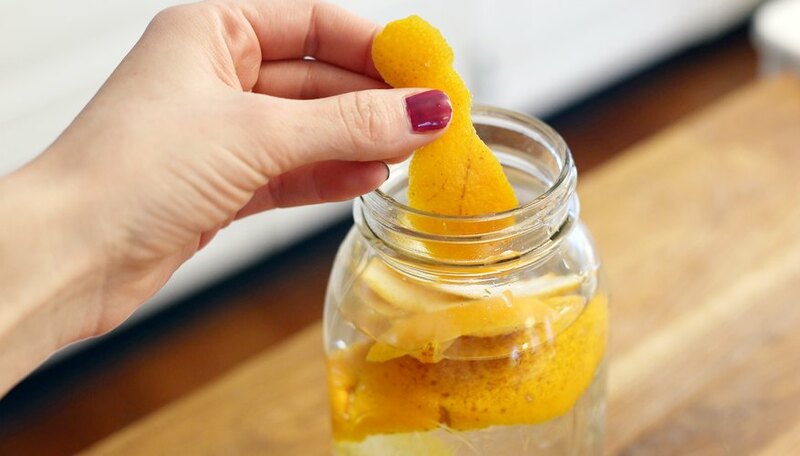 When the water seems to have a nice amount of the citrus essence infused in it, simply strain 1/2 cup of it into a spray bottle and fill the rest with water. Adding dish soap or baking soda may not be necessary. Vinegar and water is a natural glass cleaner. Vinegar naturally occurs through fermentation of juices, such as apple cider. 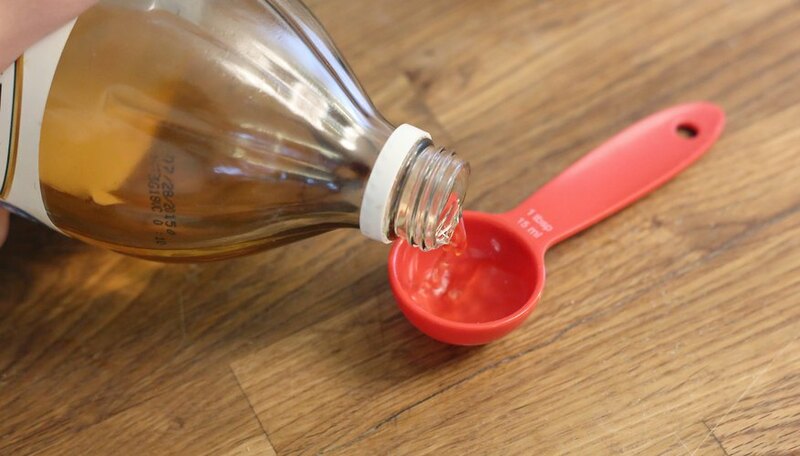 Add 3 tablespoons of vinegar to a spray bottle and fill it with water. Shake well and use to clean the glass. You can soften the water with a little baking soda, which will react with the vinegar to make a stronger cleaning solution. Alcohol and water makes a natural glass cleaner. Alcohol is naturally produced during fermentation as well. Alcohol alone will clean glass, but making a cleaner will make the alcohol last longer. Add 1/4 cup of alcohol to a spray bottle, then fill it with water. Mix well. Spray a generous amount on the glass and wipe clean with a lint-free cloth. 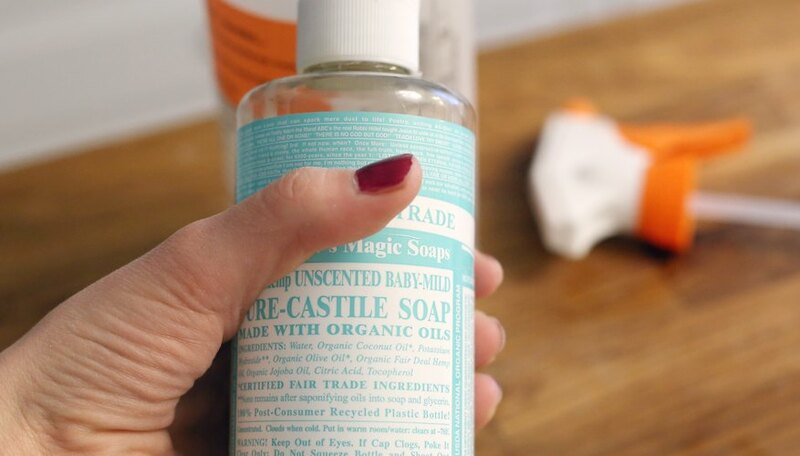 If you do not have these options available, simply use plain water, or add 2 drops of natural dish soap, such as castile soap, to a spray bottle filled with water. Shake well and spray a liberal amount onto the glass surface. Wipe the glass clean and dry with a lint-free cloth.